The kitchen is the heart of any home interior. The beautiful and well-designed kitchen keeps everyone happy and satisfied. A well-designed kitchen not only attracts people but also helps the home to look sophisticated. Redesigning the kitchen is does not only mean shifting of materials and coloring the walls. Redesigning it takes a lot more than that. 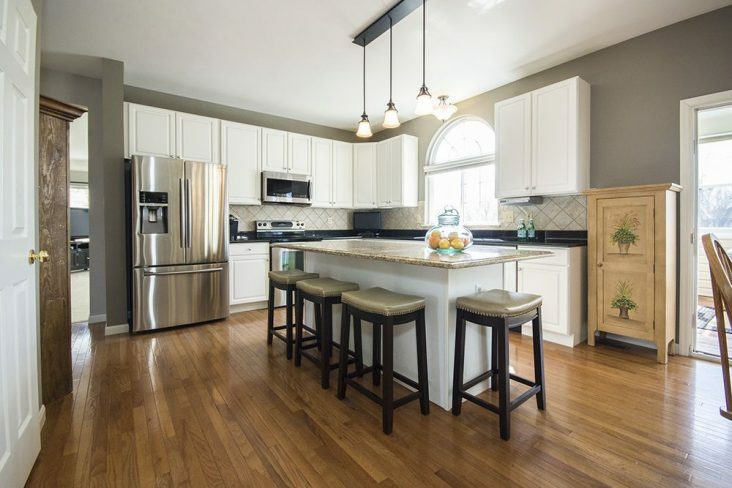 Here are a few things that you should consider while redesigning your kitchen. Budget:- Consider your maximum budget while redesigning your kitchen. Consider what you want in your kitchen and set the maximum amount for it. This will help you to set the maximum budget for your kitchen design. So know what you want in your kitchen. Know how you are going to design your kitchen. If you think that you can design your kitchen by yourself then you can plan it by yourself. Else you can hire a designer to design your kitchen. Designing your kitchen by yourself can save you money. Hiring a designing will cost you lots of money. If you live in Bangalore then you can hire Modular Kitchen interior Designers in Bangalore to get your job done. The Flooring:- Flooring is one of the most important parts of the kitchen. Flooring can change the entire looks of the kitchen. While choosing the kitchen flooring you should consider the color, durability, and cleaning of the floor. Knowing the kind of flooring you will need for the kitchen will help you to choose better. If you will put ceramic flooring you can clean it easily. But if you consider wooden flooring then it will need more care than any other flooring. You can also look for top 10 Kitchen Interior design firms in Bangalore if you need any help. Kitchen cabinet: – Kitchen Cabinet is one of the most important parts of the kitchen. A good kitchen cabinet will not only preserve your utensils but also make your kitchen look good. So choose a good cabinet design for your kitchen. There are many kitchens in Bangalore where you can choose modular kitchen interior design as the best. Working surface:- Choose a kitchen design where you can work without any worry. Make sure that your kitchen design has enough space for you to work freely. What’s your Style:- Before going to the market to look for the design you should know your style. Knowing the style you will need will help you to choose better. So know your style that you need in your kitchen and avoid getting confused while choosing from many designs.